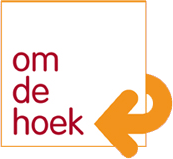 Welcome to the meeting and training location Om de hoek (Around the corner), the inspiring location for your office’s team-building, workshop or training. Om de hoek is a cosy and pleasant location and provides everything you might need for a successful gathering. It is as if you are having a conference at home, but, well looked after by us. 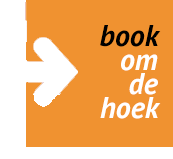 Om de hoek consists of two conference rooms which can be rented independently: the Garden Room and the Upper Room. Although they differ in size and ambiance, they both offer the same casual atmosphere of homey hospitality and professional care. The Garden Room and the Upper Room have separate entrances and are completely independent. You have full use of the location you are hiring and therefore will not be affected by other groups. Om de hoek is situated close to the city center of The Hague and is very well accessible by public transport. Parking is free during the day in our neighborhood and it therefore may be difficult to find a parking space nearby. As the different levels in Om de hoek are only accessible by staircases, please note that Om de hoek unfortunately is not suitable for wheelchair users.